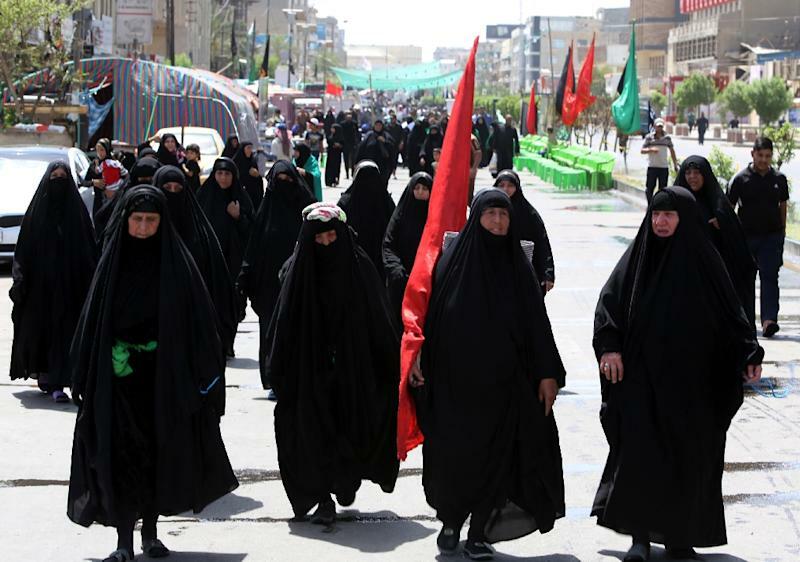 Baghdad (AFP) - A suicide attack and two mortar rounds targeting Shiite faithful marching to a Baghdad shrine killed six people Tuesday in the Iraqi capital, medical sources and witnesses said. A hospital official said four people were killed and 12 wounded in a suicide attack near Tahrir Square in central Baghdad shortly after dark. "I saw a white van speeding on the wrong side of the street," Ali Sahib, a motorist who was being searched by police on the square at the time, told AFP. "Police opened fire, they hit it and the van crashed into the sidewalk," he said, adding that the van exploded soon after as pilgrims ran away from it. A police colonel confirmed the casualty toll. Two other people were killed and four wounded by two mortar rounds fired on Boub al-Sham, a neighbourhood on the northern outskirts of Baghdad, police and medical sources said. The Iraqi state has deployed 75,000 members of the security forces to protect the droves of worshippers who have been walking for days towards Kadhimiya in northwestern Baghdad. It is the site of a shrine dedicated to Imam Musa Kadhim, the seventh of 12 revered imams in Shiite Islam, who died in 799 AD. Several major thoroughfares in Baghdad have been blocked to traffic for several days already, bringing the capital to a standstill. The government declared a national holiday on Wednesday and Thursday, which will see the climax of the commemoration. The marching worshippers and the hundreds of tents along their path where they can rest, eat and drink are considered particularly vulnerable to attacks. At least seven people were killed in a car bomb attack against worshippers in Baghdad on Saturday.